More snow showers today although less intense than the other day, and a rain/snow line between 1200m and 1500m. There were between 5 and 10 centimetres of fresh snow on the Chamonix mountains today. After a couple of sunny days on Friday and Saturday, with great snow (50cm powder!) and perfect visibility, today has been cloudy with more snowflakes flying. All the snow from Thursday has gone from the valley bottom, but it is still there in the mountains, and it is getting a fresh top-up today. This afternoon as I was heading up the Grands Montets, rain turned to snow at about 1500m, and there were a few centimetres of fresh snow from last night. It was cloudy, and snowing steadily, but the sun was almost poking through at the top of the Herse chairlift. It was quite warm, and the fresh snow was creamy, but where it had been skied, especially on the groomed pistes, it was quite difficult to ski. 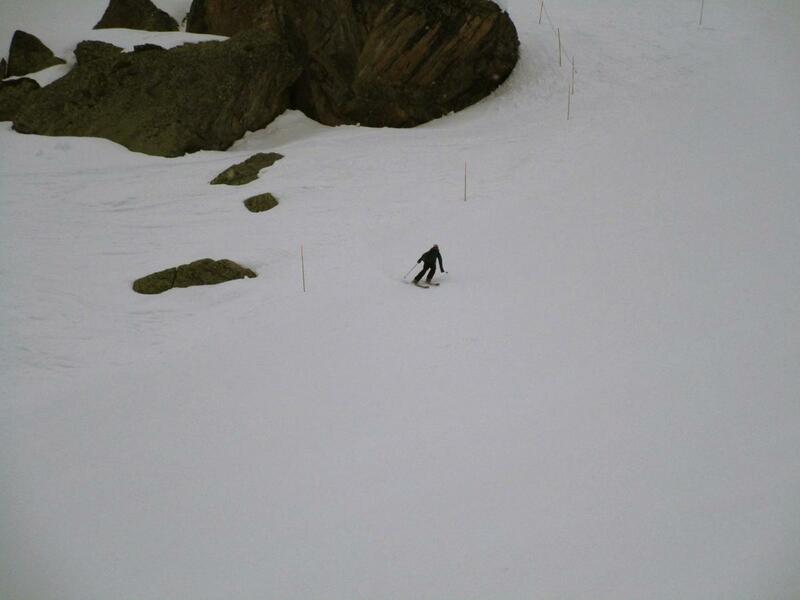 It was very quiet though, with not many people skiing. We are expecting some sunshine tomorrow, so with the fresh snow it could be pretty good again. Unsettled weather is supposed to stay with us for the rest of the week. It is April after all! Le Tour is also set to stay open until April 22nd, except for the access from Vallorcine. Meanwhile at Les Houches, they will be closing on the 14th April. 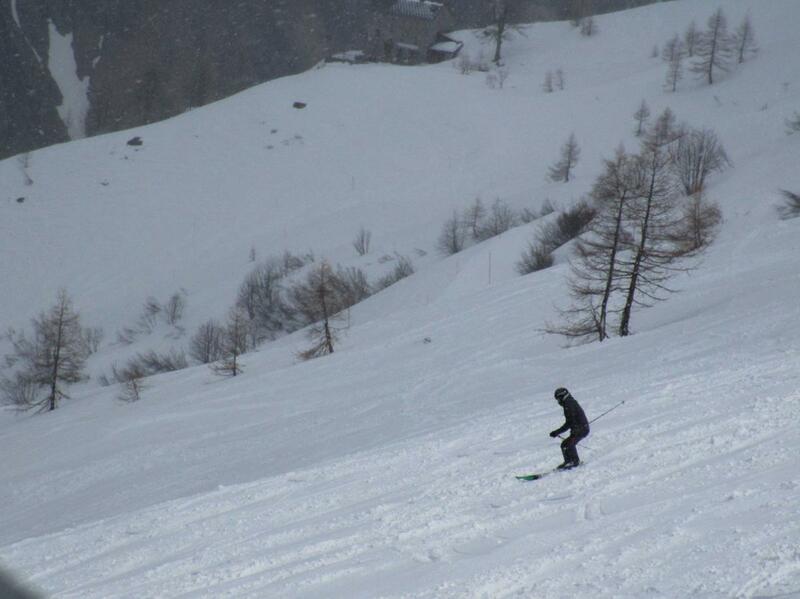 It looks like Courmayeur should be open until April 22nd, too, on the Italian side of Mont Blanc. The Vallee Blanche from the Aiguille du Midi is still skiable with a guide for the moment, despite the warm weather that we had last week.